A set of components that collect (input), manipulate (process), store (output) and display data and information while providing feedback to meet an objective. (tools to help achieve career goals). Simple and raw facts; e.g. employee number and total hours worked. Each fact could be stored as a number, audio, image, video or text. A collection of facts (data) which are organized and processed so that they achieve a greater value/meaning. Keywords: Input, Process, Output and Feedback. Awareness and understanding of a set of information, and the ways that information can be made useful to support a specific task or reach a decision. It requires prior knowledge to be able to define relationships with the raw facts in order to process them in a meaningful way to get information about them. There are specialized knowledge workers (KWs) who works on finding those relationships. inputs, processing mechanism, outputs, feedback. Knowledge is needed to define relationships among inputs and organize elements. IS can be manual or computerized. Most common types of IS are those designed for electronic and mobile commerce, transaction processing, management information and decision support. They are often integrated in one product and delivered by the same software package. Computer literacy: Knowledge of computer systems & equipment. IS literacy: Knowledge of how and why technology is applied in business. Constantly uses money, people, materials, machines and other equipment, data, information, and decisions. A Business Strategy should match the Information Technology Strategy, usually the Business Strategy are done first. The Organizational Infrastructure need to be designed in a way to support the business strategy as well. The same goes for the Information Systems Infrastructure that needs to be designed to support the Information Technology Strategy. Finally, the Organizational Infrastructure needs to correspond with the Information Systems Infrastructure. A series (chain) of activities that an organization performs to transform inputs into outputs in such a way that the value of the input is increased. 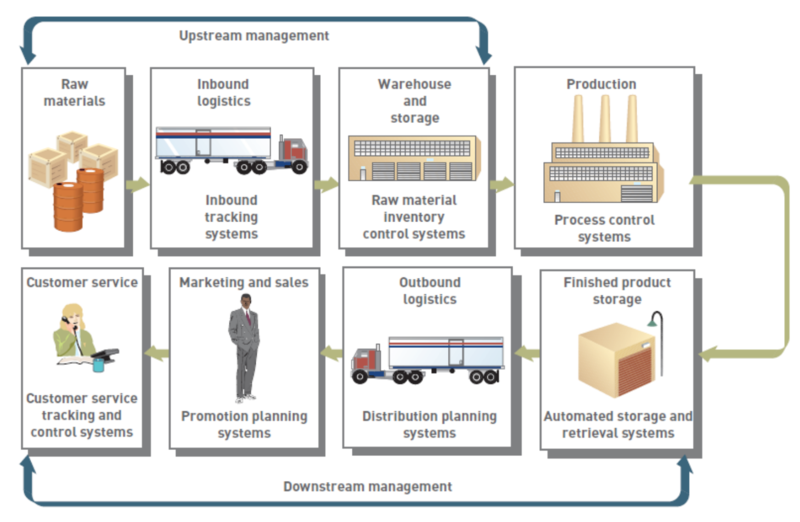 In a manufacturing organization, the supply chain is a key value chain. The supply chain is a series of activities that include inbound logistics, warehouse & storage, production and manufacturing, finished product storage, outbound logistics, marketing and sales, and customer service. 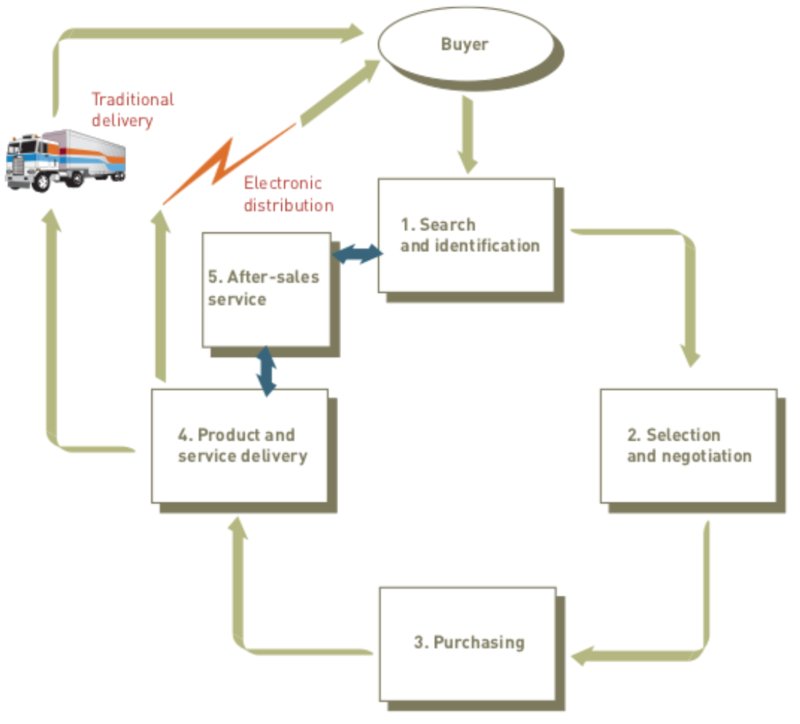 In the same way that a car is made in different steps on a conveyor belt, the business process can be modelled in steps with the Value Chain Model. All the processes can then be split in to components with different steps for different parts. Medical health organization. Instead of every patient having one doctor to relate to, they have multiple doctors or experts. theory that models how users come to accept and use a technology. specifies factors that can lead to better attitudes about the IS. Business transactions executed electronically between companies, consumers or the public sector. Organized collection of people, procedures, software, databases and devices used to record completed business transactions. Information concepts are applied to routing, repetible and ordinary business transactions. TPS functions are built into an ERP (enterprise resource planning) system. Real-time monitoring of business functions. ERP configures all aspects of the IS environment to support how the firm runs its business. a set of integrated programs that can replace many applications. Plan, execute and control all activites involved in raw material sourcing and procurement. Convert raw materials to finished products, and warehousing and deliver finished product to customer. The processes included are: sales forecasting, sales and operations plan, demand management, detailed scheduling, materials requirement planning, purchasing, production and sales ordering. A system that helps a company manage all aspects of customer encounters, including marketing and advertising, sales, customer service after the sale, and programs to retain loyal customers. That is, understanding and anticipating the needs of current and potential customers. Organized collection of people, procedures, software, databases, and devices that provides routine information to managers and decision makers. Provides info on accounts payable, accounts receivable, payroll, etc. Organized collection of people, procedures, software, databases and devices used to help make decisions that solve problems. Collection of people, procedures, software, databases and devices used to create, store, and use the organization's knowledge and experience. 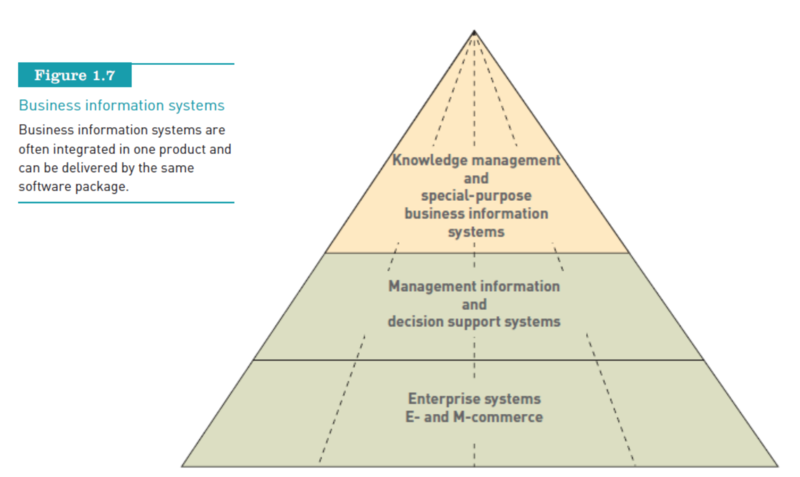 These systems are known as computer-based information systems (CBIS). directly connect the human brain to a computer and have human thought control computer activities, which will allow people to control computers and artificial arms/legs through thought alone. A model highlights the essentials of the reality. It is quicker and cheaper to make than the full artifact, but still similar, so that it often is possible to spot consequences of decisions. BPMN: Business Process Model and Notation. Leading standard for mdeling in BPM. Business process: A set of activities performed in an organization, coordinated to jointly realize a business goal. The main reason to develop an Enterprise Architecture is to get an overview of data flow and IS, and to identify possible economic gains in the various process steps in the business. Poor business alignment: Organizations were finding it more and more difficult to keep those increasingly expensive IT systems aligned with business need. 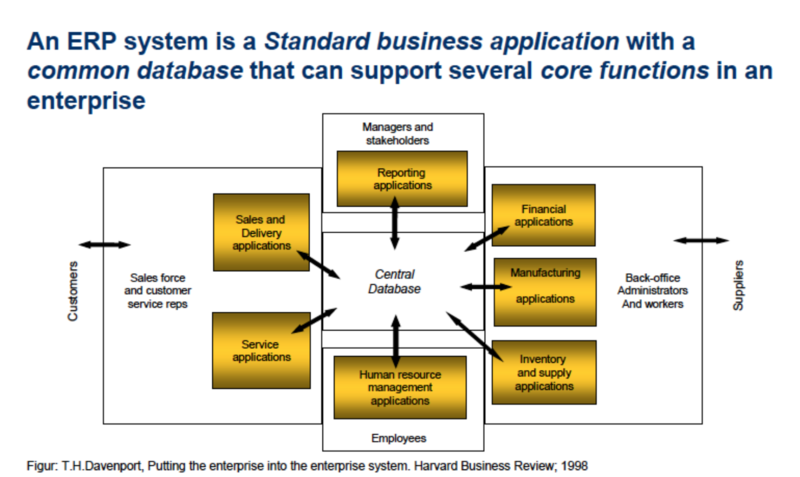 Is a framework that provides a formal way of defining an enterprise. It consists of a matrix intersecting six communication questions with five levels of concretisation. Data (what): Data needed for the enterprise to operate. Functoin (how): Concerned with the operation of the enterprise. Network (where): Concerned with the geographical distribution of the enterprise’s activities. People (who): Concerned with the people who do the work, allocation of work and the people-to-people relationships. Time (when): To design the event-to-event relationships that establish the performance criteria. Motivation (why): – The descriptive representations that depict the motivation of the enterprise. It will typically focus on the objectives and goals. The Zachman Framework is not a methodology because it does not specify methods for collecting and managing the information it describes. It is rather an ontology; a schema for organizing architectural artifacts. 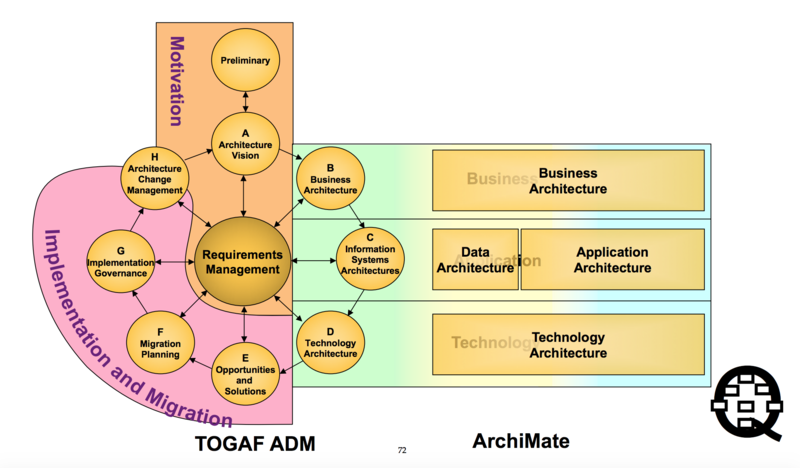 Is an enterprise architecture modeling language. It supports the description, analysis and visualization of architecture within business domains in an unambiguous way. It distinguishes itself from other languages, (UML) and (BPMN), by its enterprise modelling scope (?). An alphabetical list of abbreviations used in the course. Last updated: Thu, 20 Dec 2018 20:28:52 +0100 .